Prior to beginning design of most significant conveyance projects, we complete a comprehensive report or planning study to identify current and future conveyance facility needs. 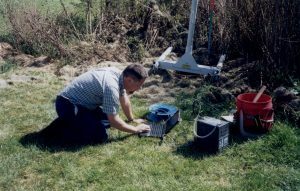 These reports and studies are often preceded by extensive flow monitoring and/or infiltration/inflow studies (I/I), or sewer system evaluation surveys (SSES), for which we typically provide flow monitoring data collection and analysis, and televising review. I/I and SSES is not only related to large-scale projects, but is also used to help communities understand long-term maintenance/rehabilitation needs of collection systems that were not initially anticipated. We are helping clients create long-term plans for sewer infrastructure rehabilitation using I/I studies and SSES to prioritize these needs. As part of these studies, we often classify defects found in the collection system and recommend remediation measures from a range of methods that include trenched and trenchless approaches. Contact us for more information about our I/I and SSES Services.